First of all, grab a piece of paper and write down your income once all the taxes and the expenses have been subtracted, indicate as well the minimum payments each time. Categorize your expenses according to their importance and analyze the ones that are the end of your list to see if they are really necessary. The point here is to create a plan where your expenses are lower than your income. You can also complete this plan by allocating a budget for each type of expenses (rent, groceries, activities, clothes …). To help you, you can use the budget calculator set up by the Canadian Government. Make an inventory of all the thing the you owe and specify the interest rate for each entry (credit card, mortgage, loans …) You can sort them out from the one with the lowest interest rate to the one with the highest or vice versa in order to establish an order of priority that you will follow to repay them. You can either choose to pay the minimum amount on all your credit cards except the one with the lowest interest rate or to pay the minimum amount on all you credit cards except the one with the highest interest rate. In the first case, it is called the Snowball method and the second one is the Avalanche method. This choice really depends on your personality. If you choose the Snowball method, you focus on the debt with the lowest interest rate. By with this one, you will take more time to repay your debts and the global interest rate will be higher in the end but your efforts will pay quicker, encouraging you to keep on. If you choose the Avalanche method, you concentrate on the debt with the highest interest rate. 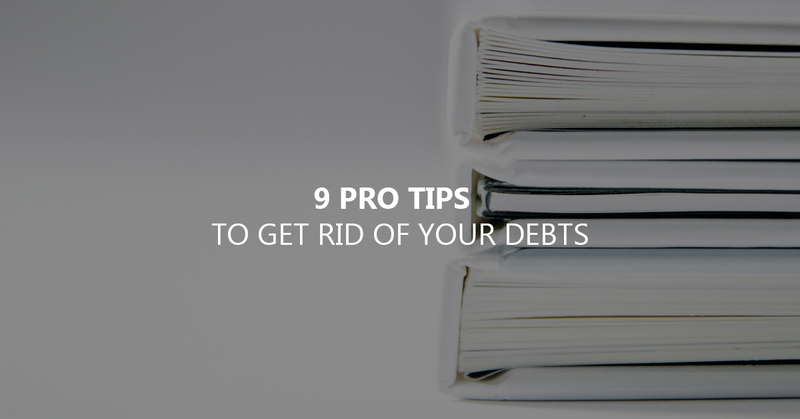 You choose to get rid of your highest debt the fastest by adopting higher payments. Once this debt is payed off, you can go to the next one on your list and so on until you’ve payed all your debts. There are many other strategies that you can choose from so do not hesitate to look for the one that fits you the most. If you are not comfortable with organisation in general, you can choose to make automatic payments from your bank to your creditor. You can choose the amount and the date of payment to make sure that you have enough money on your bank account. It is possible to benefit from lower interest rates but you need to ask. If you have a good payment history (and if threatens to leave), some creditors can offer you a discount. If nothing is done, you can choose a credit card with a lower interest rate and transfer your balance. Carefully read all the terms and conditions of your new bank to make sure that you will avoid any surprises. You can also choose debt consolidation which allows you to combine all your debts into one with a lower interest rate. However, your credit record must not be too “catastrophic” to be accepted. You can establish certain steps to reach and the rewards going with it any time you have succeeded. It should not always cost you money but it will help you stay motivated. It is very important because you can face an unpredicted expense that might make you want to give up. Once you’ve started repay your debts, it is important not to create new ones. To do this, you can implement a few technics such as pay for purchases in cash or with a debit card, not succumb to offers such as “buy now, pay later” and especially respect your budget by not spending more than what you actually have. Repaying debts is a long run job. If you feel that you are losing grip and that you can face this situation alone, do not hesitate to meet with a professional. It will certainly cost you money but it will also help you make the right decision when it comes to repaying your debts.